When someone dies without a will, that means he or she has died “intestate.” The person who has died is the "decedent." Maryland law decides who will inherit property from someone who dies intestate. Maryland law also sets out a priority of who inherits property first and the percentage of the decedent’s property each person has the right to inherit. Even when a decedent dies with a will, the people who would have been that decedent’s heirs under Maryland intestacy law are entitled to notice of any activity in the estate, including distributions, to allow them to address legitimate objections and concerns. Examples of legitimate objections and concerns include as challenging a will that is fraudulent or invalid and removing a personal representative failing to meet his or her duties. If there is no valid will, the personal representative must distribute the property according to Maryland intestacy law. The personal representative is not guaranteed to take any of the decedent’s property, but is entitled to reasonable compensation. However, if the personal representative is administering a small estate, s/he is not entitled to compensation for his or her work. 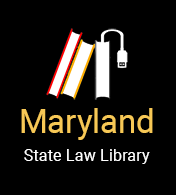 Sharon Martin and William L. Rodowsky, Practicing pursuant to Rule 16 of the Rules Governing Admission to the Bar of Maryland – University of Maryland Francis King Carey School of Law (2014-2015); Updated by Regina Strait, Esq.